Company Overview: With over 43 years in business, Rae-Line is the Australian market leader and specialist in the design and manufacture of commercial upholstery for some of the biggest names in the automotive, heavy transport, marine and action sports industries. In line with our customers’ demands we have developed and grown our product base and we have earned a trusted reputation for producing the highest quality products, on time every time, at value for money. 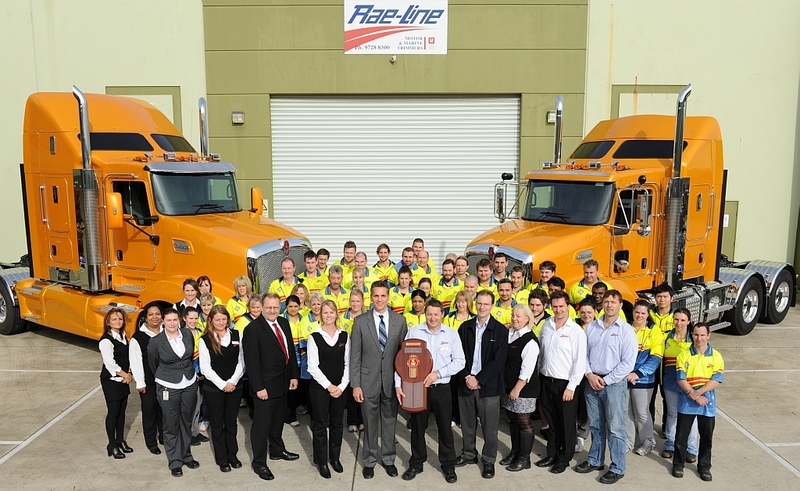 Rae-Line’s 70 employees pride themselves on in-country design, manufacture and sub-assembly from our two modern and automated facilities; Victoria (4400sqm) and Queensland (1000sqm). Our products are backed by in-house technical assurance and 100% quality inspection. Sports Padding Solutions: With the rigor of testing our team is bringing science into the field of sports padding. We want our customers to be able to make an informed decision when purchasing their sports padding solution. Are you protected? What CFH and HIC is you padding specified to? Our team will identify the right foam combination, draw your project in 3D and once approved manufacture your padding to the highest standards with proven foams, fabrics and methods. Our installation team has completed full installs throughout Australia, in South Africa, Hong Kong, Abu Dhabi and Portugal and can assist you with all of your sports padding requirements. When making you sports padding solution decision, make sure you consider the Rae-Line team.